AAP members, including Kejriwal, Manish Sisodia, Rajendra Pal Gautam, Kailash Gahlot and Pankaj Gupta, have been accused of burning copies of BJP’s 2014 election manifesto, which had photos of their leaders, on March 13. 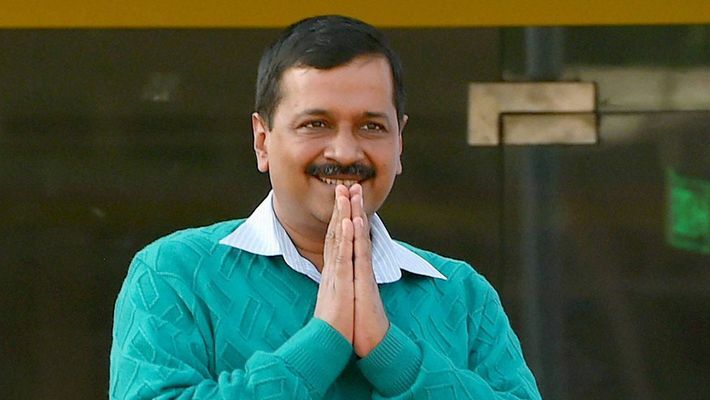 New Delhi: Aam Aadmi Party (AAP), including its chief Arvind Kejriwal who is also Delhi's chief minister, might soon face a case for violating the model code of conduct. AAP members, including Kejriwal, Manish Sisodia, Rajendra Pal Gautam, Kailash Gahlot and Pankaj Gupta, have been accused of burning copies of BJP’s 2014 election manifesto, which had photos of their leaders, on March 13. Following the incident, the BJP Delhi unit demanded that the Delhi Police take appropriate action against the accused. According to the police, they received the information that during an AAP meeting held at its headquarters in Deen Dayal Upadhyay Marg, Lok Sabha election 2014 of BJP was burnt. MyNation has learnt that the district election officer has forwarded its report along with a register of daily entries. The Delhi Police said, "It has been reported by SHO/I.P. Estate that today a meeting was held in the office of AAP at DDU Marg in the jurisdiction of PS/I.P. Estate which was attended by Hon'ble CM Delhi along with Cabinet Ministers, MLAs and party workers. Information was received that during said meeting, the manifesto of Lok Sabha Election 2014 of BJP was ablaze. The Hon'ble CM Delhi arrived at the AAP office at 1240 hours and left the office 1355 hours. A daily diary entry in this regard was lodged vide No. 67, dated 13.03.19, PS I.P. Estate, Central District, Delhi. Copy of DO entry and video footage of the meeting are enclosed,"